Hotel City Centaur, Bangalore, is a wonderful space to host your wedding day. 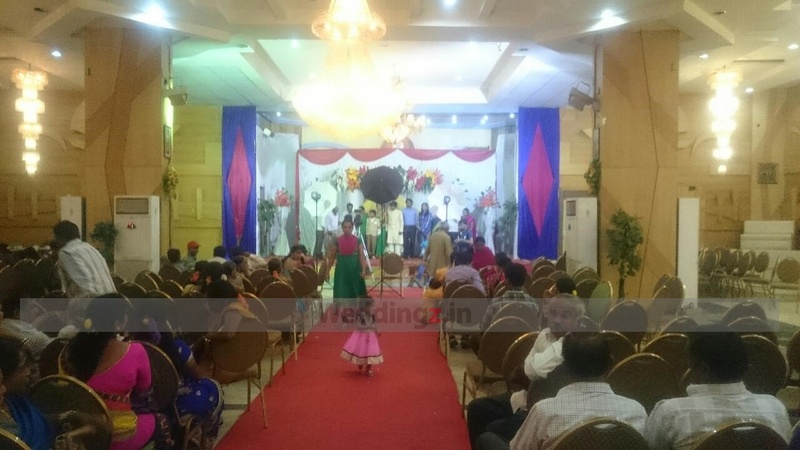 The venue has four event and reception banquet halls with impressive capacities. You can host pre-wedding functions like haldi, mehendi, sangeet or even a reception or an engagement function. The venue allows you to get a wedding catering service provider for your big day. You can also get a wedding decorator and DJ to celebrate the day, just the way you imagined. The Hotel City Centaur located in Majestic, Bangalore has Wedding Hotels and Banquet Halls. Meeting Room can accommodate upto 80 guests in seating and 150 guests in floating. Conference Hall can accommodate upto 150 guests in seating and 250 guests in floating. Celestial can accommodate upto 700 guests in seating and 1050 guests in floating. Vegetarian and Non Vegetarian food is served at this venue. Features of this wedding venues are : Food provided by the venue , Non-Veg allowed at the venue , Alcohol allowed at the venue , Outside alcohol allowed at the venue , Halls are air Conditioned , Baarat allowed , Hawan allowed , Decor provided by the venue , Packages starts at Rs 500 per plate for vegetarian menu and at Rs 600 for non veg menu.